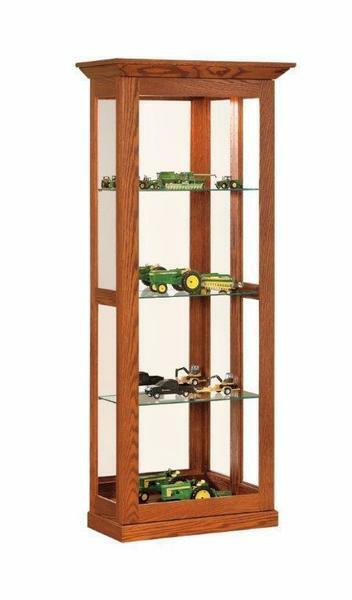 Display your treasured collection of plates, tea cups, or figurines in a new Amish Small Sliding Door Curio Cabinet made just for you. The choice of wood and finish lets you have a curio cabinet that matches your decor perfectly. The Amish Small Sliding Door Curio Cabinet is shown here in oak wood with Michael's Cherry Stain. Have questions about this curio cabinet? Our team of Amish Furniture Specialists can help. Email or call us today. Thank you for shopping DutchCrafters Amish Furniture.